Less than an hour flight ride from Bangkok, Phuket was our next stop on our trip. 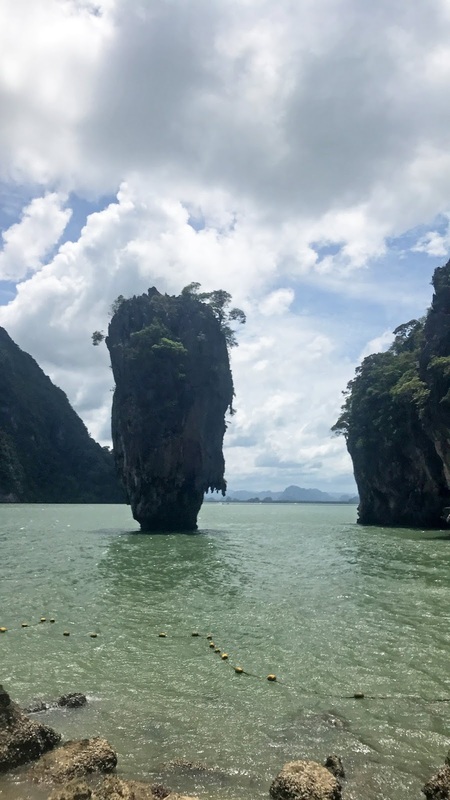 As Bangkok was a city to see, I was very thrilled to see what Phuket had to offer. 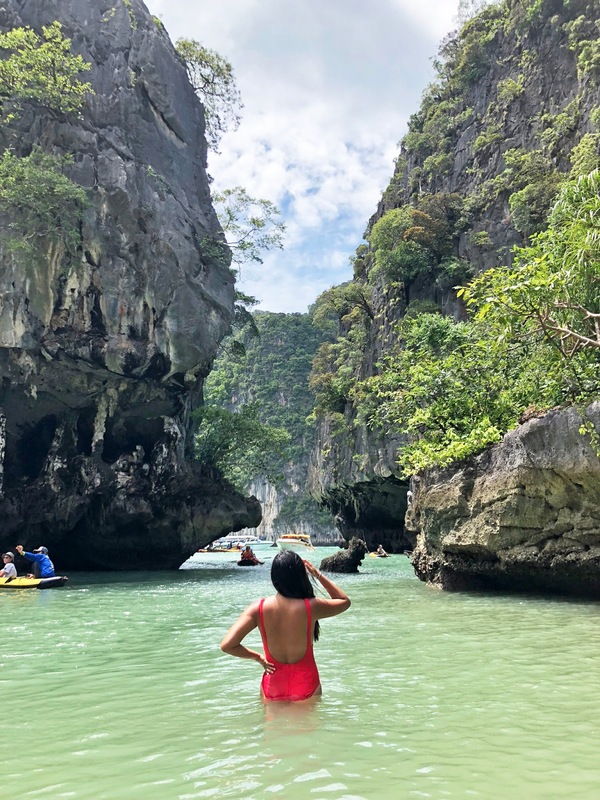 I’ve seen many other bloggers who have visited Phuket in the last year or so, and just by quick snaps, it looked absolutely beautiful. From the beaches to the various adventurous activities; I can see why Phuket is a popular city to visit in Thailand. Have you seen the movie James Bond? If so, this is a definite must-do touristy attraction while in Phuket, Thailand. 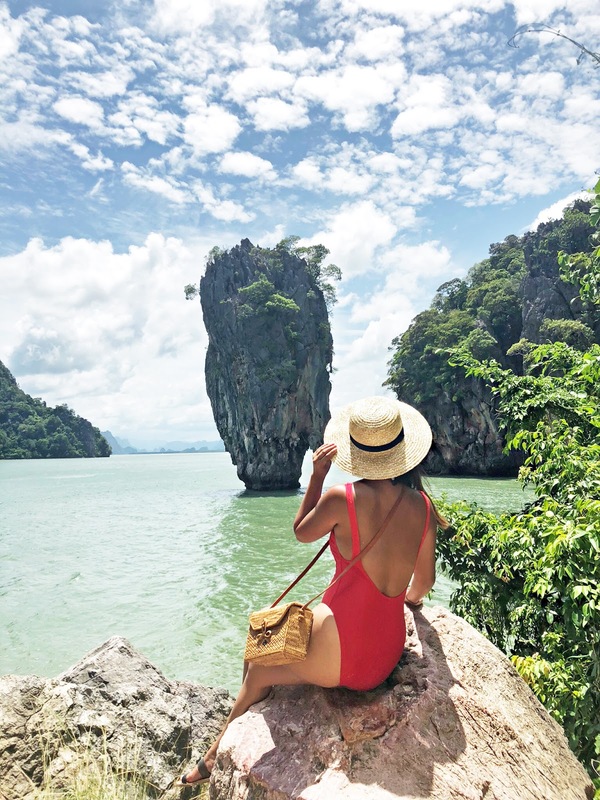 Re-live your James Bond dreams with Andaman Leisure Phuket Phanag Nga Bay + James Bond Island Tour. This popular tourist attraction is one to remember and is a great way to have an excuse to be on water. Dress appropriately, this is a boat tour, so anything casual like shorts, t-shirt and your swimwear would be ideal. Always bring a ton of sunscreen! If you get seasick, come prepared with Dramamine. This tour is pretty much a full day tour; you are picked up at your hotel around 7:30 to 8 am and don’t get back until 4 or 5 pm that evening. One of the best and memorable times on this trip was visiting an elephant sanctuary. 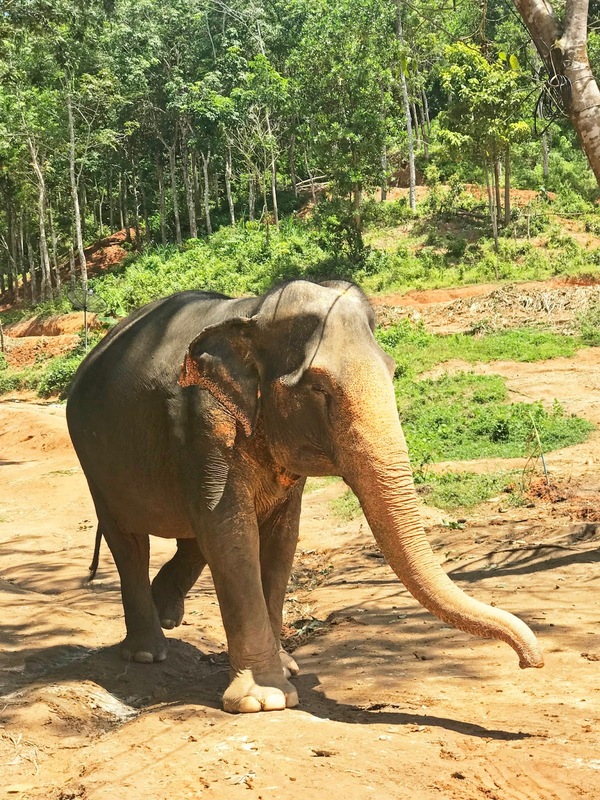 These beautiful animals are so heart-warming and friendly creatures – it saddens me to learn about how they are mistreated by most elephant tourism companies. While the elephants are a must to do while in Thailand, it’s very crucial to do your research on which sanctuaries to visit. Elephant Jungle Sanctuary is an ethical and sustainable eco-tourism project located in various areas Chiang Mai, Phuket and Pattaya. Their mission is to protect and care for as many elephants as possible with the intention to give good health, freedom, and happiness they truly deserve. At the Elephant Jungle Sanctuary they offer customers with a variety of different tours. During our visit we had the opportunity to do their half-day package held in the afternoon. 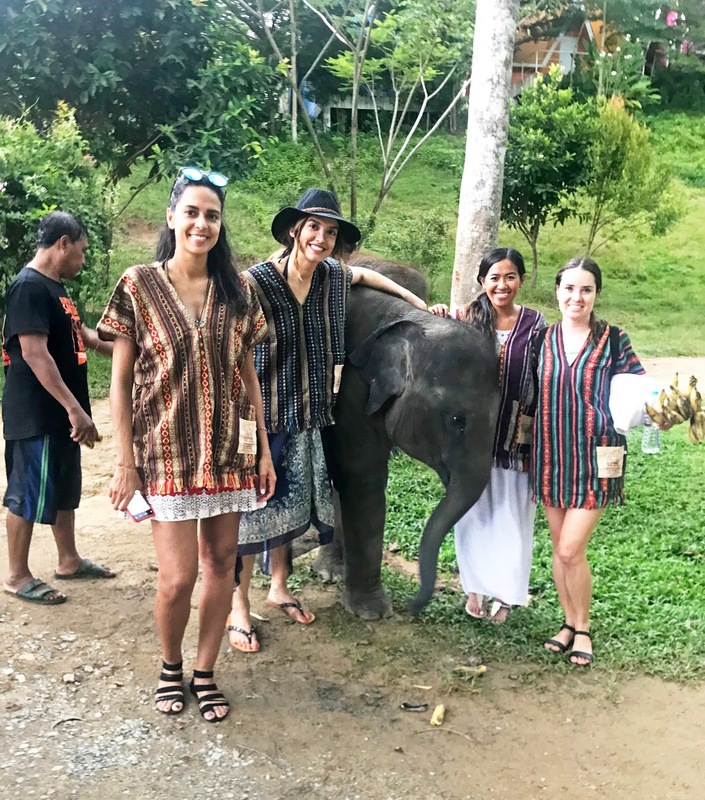 During this tour you get to meet the elephants, feed them with bananas and sugar cane, and lastly get to swim and bathe them in water. The tour also includes free transfer service from hotels, a Thai lunch buffet, and a small gift in the end. Wear comfy clothes; and bring your bathing suit and a change of clothes if you decide to partake with bathing the elephants. Always bring a ton of sunscreen and bug spray! It was truly an experience I will never forget! A total – MUST do while in Thailand. If you ever find yourself in Phuket, the Big Buddha is a must to see as it is one of the most important and admired landmarks on the island. 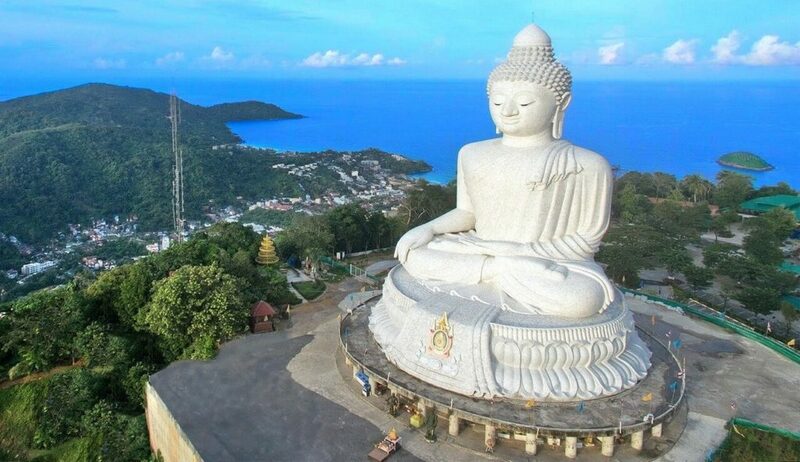 Sitting at 45 meters high, the statue can be seen from far away as Phuket Town and Karon Beach. The beautiful statue is made of white marble and sits in a meditation posture facing the Adaman Sea. If you are interested in visiting more architectural attractions; Wat Chalong, Phra NangSang and Phra Thong pagoda are sites to also consider visiting. 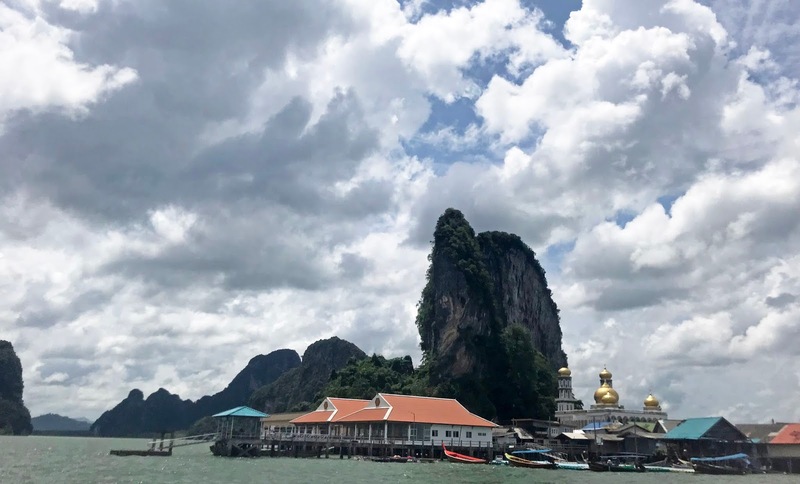 Visiting these temples are the best way to learn about the history of Phuket and gives you a great opportunity to experience the island’s everyday life. We did not get a chance to do this while in Phuket, but it’s definitely a top must the next time I visit Phuket, Thailand. You can book your trip via Voyagin and use code: fnancistapriv for 10% off. 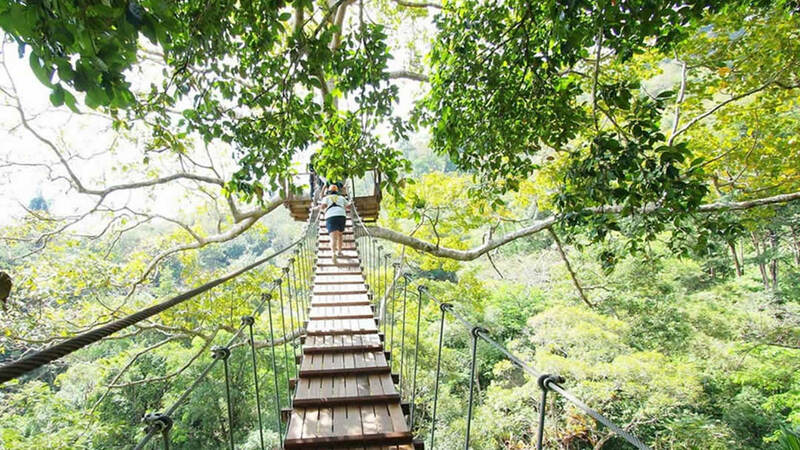 Another great way to explore the nature wild life of Phuket is to go zip lining. It is one of my ultimate dreams to check off of my bucket list – and though I did not, sadly, have time to do this – consider it yours! Phuket has many areas to visit; when we were there, we stayed near Patong Beach. This area is famously known for its shopping and lively nightlife – and is an area known popular for tourists. 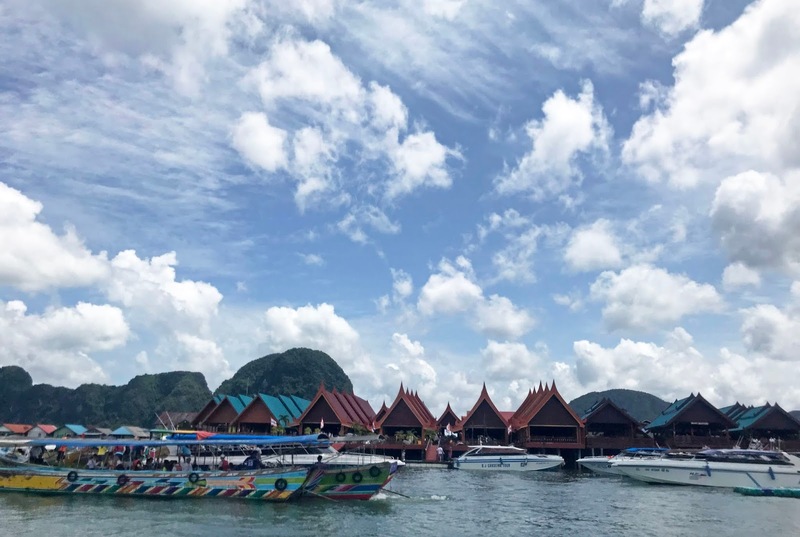 Aside from the endless shopping and popping nightlife, many people come here to relax, sunbathe and enjoy the array of water activities such as swimming, parasailing and jet skiing. Visiting this area, reminded me of an area in Chicago called Wrigleyville; it is crowded with tourists, and offers a wide variety of bars open ‘til late at night. To be honest, my friends and I were not a fan of this little area, but I can see how most others would. Nonetheless, it’s a must to check out if you are in the area. Novotel Phuket: Overlooking the beautiful Patong Bay, is the Novotel Phuket. 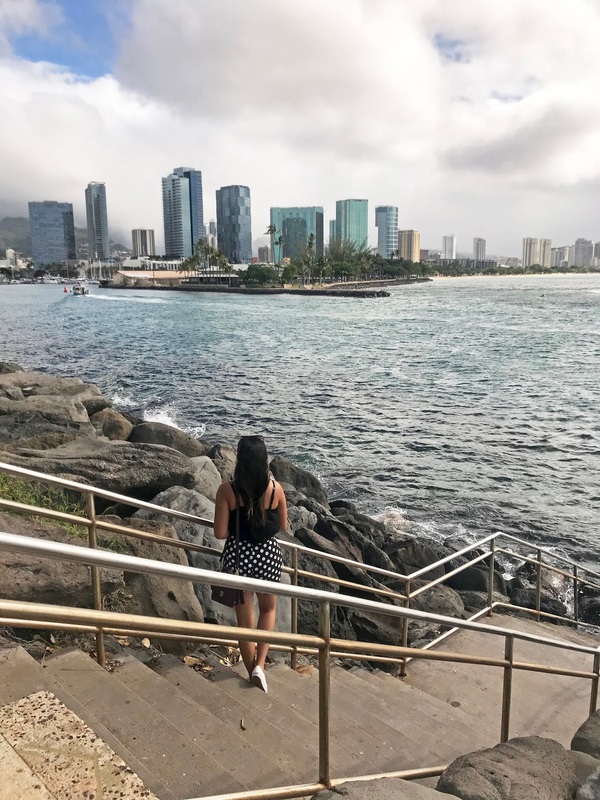 This resort is great for people who are looking for a more affordable place to stay and wants to be close to the beach. View more of this hotel and my review here. 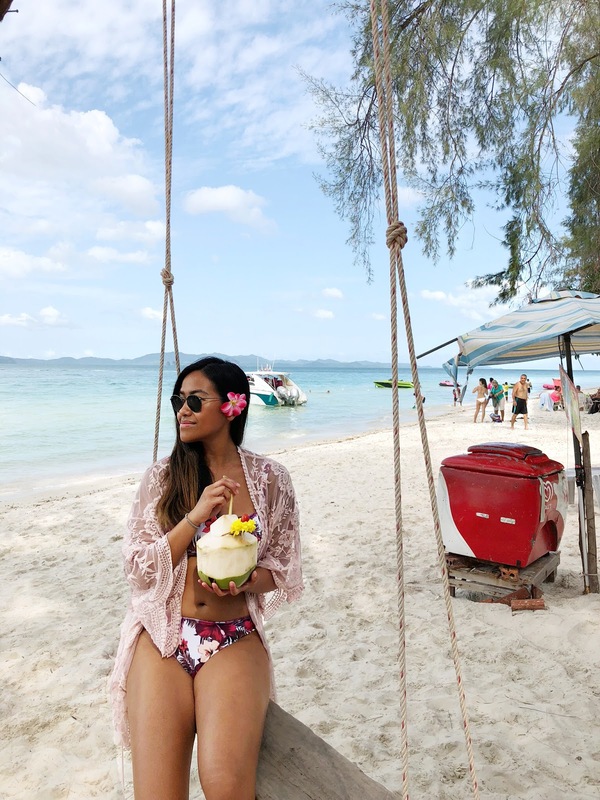 Phuket Marriott Resort & Spa Merlin Beach: Tucked away from the bustling crowds, this 5 star resort is a tourist's dream: a mix of 6 restaurants and bars, a private beach, and endless Instagram-worthy spots! Read all about it here. Known for its pretty and relaxing beaches, beautiful culture and outdoor sites to see; Phuket is a must city to visit in Thailand. If you missed it; read all the things you must see and do in Bangkok, Thailand! Disclaimer: Some of the content above was sponsored, but as always, all opinions in this review are my own. 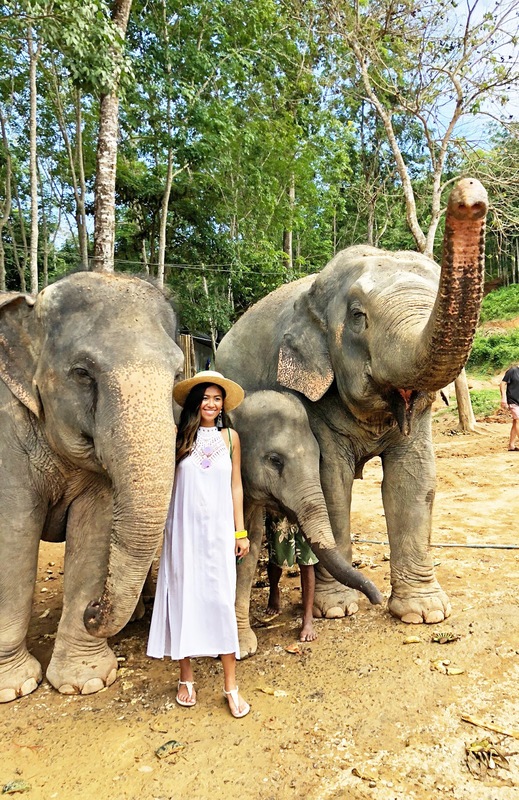 Special thanks to the guys at Andaman Leisure Phuket and Elephant Sanctuary for taking care of us during our visits.